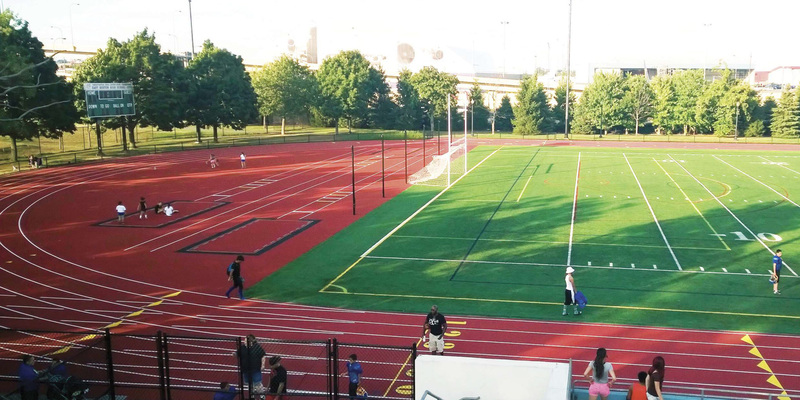 Huntress Sports coordinated the master planning, engineering, design and community participation events for the renovation of this $1.7m renovation of East Boston Stadium. The stadium is the home field to five area high schools and is also host of many community and semi-professional sports organizations. The facility is located adjacent to Logan Airport in Boston, making one of the more visible sporting venues in the area. Working with the Boston Park & Recreation Department, HAI reviewed the athletic program needs, coordinate a thorough review of synthetic turf and track products and prepared detailed engineering plans, bidding documents and costs estimates for the upgraded facilities. 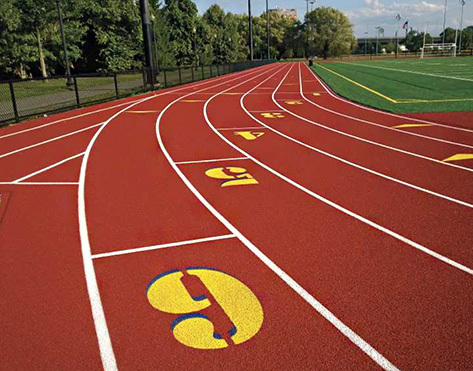 The athletic construction program includes a new multipurpose synthetic turf field for football and soccer, complete renovation of the existing 6 lane 400m running track, addition of a second straight-away on the visitor's side to accommodate larger track meets, fencing, walkways and lighting upgrades. The project was completed on time and within budget.